ZTE USA CEO Lixin Cheng would like to build a new phone that allows users to change the OS at their whim. The executive said that he'd love to see iOS included as one of the OS choices that such a phone would offer. You might recall that earlier this year, the Geeksphone Revolution lauched, offering users the choice to switch between Android and Firefox OS. Surely Cheng doesn't expect Apple to open up iOS anytime soon. ZTE is ahead of the other Chinese smartphone manufacturers thanks to the relationship it has with some stateside carriers. In the states, ZTE is number two in Android powered handsets for pre-paid users. But dealing with the carriers means having to put up with their testing processes, which for some operators is prohibitive. Cheng doesn't believe that his competitors from China could meet the demands required to be a supplier to U.S. mobile operators. Today, the ZTE Concord II is available from T-Mobile. Starting May 19th, the device will be offered by MetroPCS. The ZTE Concord II features a 4 inch Gorilla Glass 2 screen, with a 480 x 800 resolution, powered by a dual-core 1.2GHz Snapdragon MSM 8210 processor. Inside is 1GB of RAM and 4GB of native storage. If you need more memory, the handset comes with a 32GB microSD slot. There is a 5MP rear-facing snapper and an 1820mAh battery powers the unit. Android 4.3 is pre-installed. The phone is priced at $150 for T-Mobile, lock, stock and barrel. The price at MetroPCS will be announced when the phone is available for the pre-paid carrier next week. 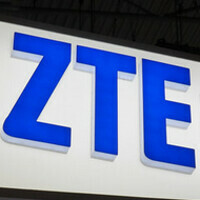 Cheng says to expect more large-screened models from ZTE to be imported into the states. Currently, the 5.7 inch ZTE Boost Max is available from Boost Mobile. for enrty levels phone cool. I was hoping for $100. Also re: MotoG... isnt it 3G only, and only available in developing countries?